In this section, you can find out all the details relating to the applicable travel restrictions on minors, babies, pregnant women and passengers with reduced mobility, as well as all the restrictions applicable to the transportation of your pets. All our passengers, including children and babies, must provide a valid passport to be able to board one of our flights. In any case, and as indicated in our General Terms and Conditions, it is the passenger's responsibility to know what additional documents they may need to travel in accordance with their individual situation. For this reason, we recommend that if you have any doubts in this regard, you check with your country’s Embassy or Consulate. Passengers from the Dominican Republic are recommended to carry their Dominican passport at all times, regardless of whether or not they carry another valid European Community passport. This is due to the fact that, in many cases, carrying it eliminates travel requirements that would otherwise be enforceable such as visas, etc. Please take particular note that for Passengers who are not nationals of the country or who do not have accredited residence status in it, travelling as a tourist to certain destinations Outside the European Community, it is an enforceable requirement to show at the point of departure the corresponding return ticket or onward flight ticket within the maximum period permitted for tourists to stay, according to the various regulations of each country. Consult your agency upon making your booking. Before travelling, it is obligatory to provide all the information required upon travelling. 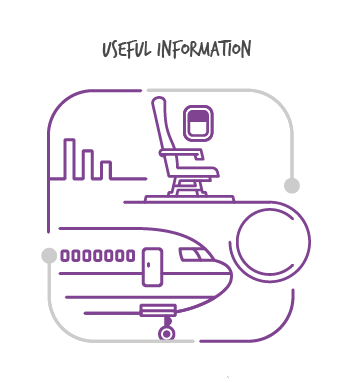 Certain countries require the airline to provide specific information on the passengers (full name, date of birth and passport data) with at least 72 hours’ notice in advance of the flight. This information is commonly known as Advance Passenger Information (API). Please check by accessing “Bookings management” or calling our call centre that all the required fields have been completed. If you fail to do it in the established period, you may be refused boarding at the desk on the day of the flight. 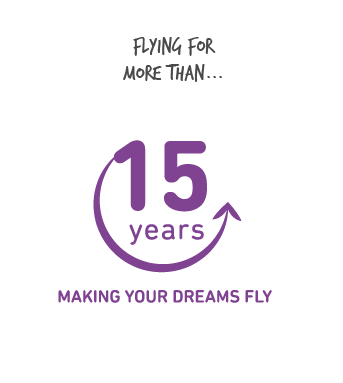 If your child is aged between 5 and 11 years, they can travel alone if you fill in the Disclaimer in advance and proceed to contract the Unaccompanied Minor (UM) service. 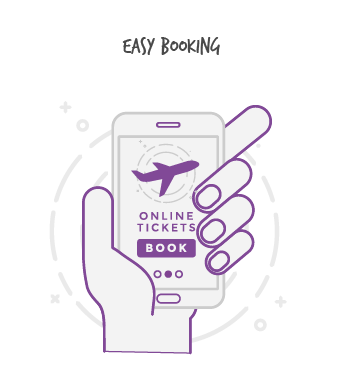 This service can be contracted in the booking process, in “Bookings Management”, if you have completed your booking, or through our call centre up to 72 hours before the flight’s departure. Wamos Air informs that this service is not free and has a cost of 70 euros per leg. Under 5s may not travel alone in any case. Children over 2 years old are charged at the full fare and therefore they will be entitled to a 40 kg luggage allowance. Children under 2 years old will be considered babies. If they do not occupy a seat, they will be subject to the payment of the airline taxes. Babies of up to 2 years old travelling without a seat have an allowance of one 20 kg piece of luggage plus a fully folding cradle or baby chair. An adult may only travel with one baby, with a view to being able to offer them the necessary care. Babies of up to 11 kg can fly in a cradle provided by Wamos Air provided that you reserve one of the seats set up for this in advance. We advise you that that service is subject to space and the configuration of the aircraft scheduled for the flight. Please consult through our call centre. The folding chairs must be presented at check-in for their correct labelling. It may be carried as far as the Boarding Gate where it must be handed over to the Wamos Air staff to be loaded on the plane. We admit babies of any age on our flights, although we always recommend that babies do not travel in the 7 days after birth and that you consult your paediatrician in advance for more details. From 2 to 4 weeks before the estimated birth date, you need a medical certificate from a gynaecologist specifying that you can fly. If you are unsure whether you are in a fit condition to travel, you can consult the medical centre of the airport. Wamos Air recommends that pregnant women do not fly in the 7 days after labour. We also recommend that babies do not travel in the 7 days after their birth date. Wamos Air permits the transportation of pets provided that that regulations in force so permit. For this, you must contact our call centre and consult the availability of this service for your flight. You must provide your own “pet carrier” to transport the animal. Only a maximum of one pet per passenger and flight is permitted. Animals must travel with documentation, by means of an animal passport or veterinary certificate, identified with a microchip or tattoo and vaccinated (in certain countries with titration of antibodies). You can find out more here. It is convenient that when you make the booking or purchase the ticket, be it from the airline or a travel agency, you communicate your intention to bring a pet on board and you take note of the specific terms and conditions for its transportation. In the proper conditions, they may sometimes travel with their owners in the passenger cabin, provided that the passenger takes responsibility for their care and transportation during the flight, without disturbing the neighbouring passengers. This exception only applies to cats and dogs and only one animal every 8 rows will be permitted in the cabin. It is convenient for the animal to be bathed before the trip as they could be rejected if their presence is disturbing for the other passengers. It will not be permitted to select the seats corresponding to the emergency exit row to place animals due to the greater space existing in them. The cost of this service is EUR 100 per leg. When the joint weight of the animal and the carrier exceeds 8 kg, its transportation will only be permitted checked in the hold. It will form part of your free luggage allowance, generating an additional cost per kg if it exceeds that allowance. The authorisation is always granted subject to the space and weight available after loading the allowed luggage of the other passengers and their acceptance has limited liability on the part of the company. The baskets or cages for their transport must be provided by the passenger themselves taking into account that, as well as the sufficient strength and resistance, they must comply with the technical specifications required by IATA and that those considered too small for the animal to be transported will not be accepted. The adequate dimensions of the cage or transporting container must permit the animal to stand up without its ears touching the roof, turn round and sleep comfortably. It must have an adequate door and lock, ensuring that it will not open at any point of the journey. The mesh of the cage must not be so open that the pet can poke its head or snout out, avoiding endangering the people responsible for transporting the cage during boarding and disembarking. Additionally, you must ensure that it has a watertight floor with absorbing material to prevent the spillage of water, and verify that it has good ventilation on all four sides. It is important that the ventilation of the cage be ensured, to avoid the pet suffering a thermal imbalance or heat stroke due to lack of oxygen. Finally, do not forget to place the obligatory identification labels, indicating the correct placement of the cage with the corresponding upwards arrows and that it transports "live animals", as well as the details of the owner or person responsible, address and contact telephone number of the accommodation in the destination. In this case, they will go with the passenger in the place assigned by the crew, located in a position that does not disturb the other passengers. There are no limitations set for these animals that assist disabled persons in terms of size, breed and need for a cage, as they are not affected by the conditions set for PETCs. Apart from informing Wamos Air or your travel agency, no other formality is necessary in this case; it is sufficient for the animal to be duly equipped with a muzzle, collar and lead. You do not have to pay any amount to transport them in the cabin or in the hold, and there are no restrictions with respect to size or weight. Therapy or Emotional Support Animals (dogs or cats) can travel for free inside the cabin if the weight/dimensions of the animal in the cabin are such that it does not exceed 20 kg of weight, as well as they must fit in the space assigned to its owner. They must occupy any seat with the passenger, unless the animal obstructs an aisle or other area that must remain unobstructed to facilitate an emergency evacuation. He/she has a mental or emotional disability recognized in the Diagnostical and Statistical Manual of Mental Disorders. The confirmation that the passenger needs special assistance on board, whatever the cause, and that they must expressly travel with an animal on board. The confirmation that the person mentioned in the letter is under the care of the assessing physician or the adequate professional for their special needs who has issued the aforementioned document. If you want to travel with an ESA, you must inform us 48 hours before the scheduled departure of the flight at the latest. Fullfill and submit the following form. To be able to fly safely and with no setbacks, the animal must have been conveniently trained to behave correctly in a public environment. The transportation of the animal within the cabin will only be permitted if it is obedient and behaves in the due form. On long-haul flights, a confirmation from the owner of the animal's capacity to make bowel movements in a controlled manner and without generating any type of discomfort for the other passengers is required. Otherwise, the placement of a muzzle may be required for its transportation or they will be transferred to the hold (if there is an adequate container), or they may even be denied transportation. From 26 July 2008, the provision of the assistance service for passengers with disabilities or reduced mobility ceases to be the responsibility of airlines and becomes the responsibility of each airport. If you are a person with disabilities or reduced mobility and you made your booking through our call centre, we will pass your request on to the managers of the service at the corresponding airport. If you made your booking on the internet, you must advise at least 48 hours before your journey, calling our call centre; we will pass your request on to the managers of the service at the corresponding airport. If you prefer, in Spanish airports, you can reserve the assistance yourself in the airport contacting Aena directly, (http://www.aena.es/es/pasajeros/pasajeros.html) Assistance for PRM section, calling Aena's telephone line on +34 902 404 704. Remember that you must advise at least 48 hours before your flight's departure. Once in the airport, you must head to one of the meeting points set up and request the assistance there; the managers of the passengers service will accompany you to our check-in desks. Consult the map of your departure airport to locate the closest meeting point. Remember that you must show up at the Wamos Air check-in counter 4 hours before your flight's departure time.